Welcome to our article on having bipolar disorder, being depressed and looking for hope. 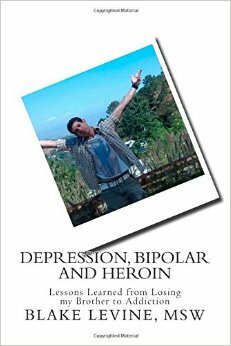 Many who live with bipolar become depressed and search for some type of meaning. During the journey many feel lost, confused and are trying to know why they were given a mental illness. Our work is to teach and educate families and individuals with bipolar disorder and depression by sharing knowledge. Our website was started by a bipolar survivor who nearly died from the illness in his teenage years. He would go on to help many others after studying social work and being a therapist for many years. He knows that it takes a great amount of persistence to overcome these very hard problems. We offer a free daily magazine on our home page. We’re also proud to offer a one on one coaching program where we work by phone or skype to provide coaching that teaches optimism, goal setting, having a sounding board and a positive person to help you through the struggles you encounter. Please know if you have bipolar disorder and are depressed there is a hope to rebuild your life. Many go through a personal transformation that allows you to find a higher level of happiness and joy.